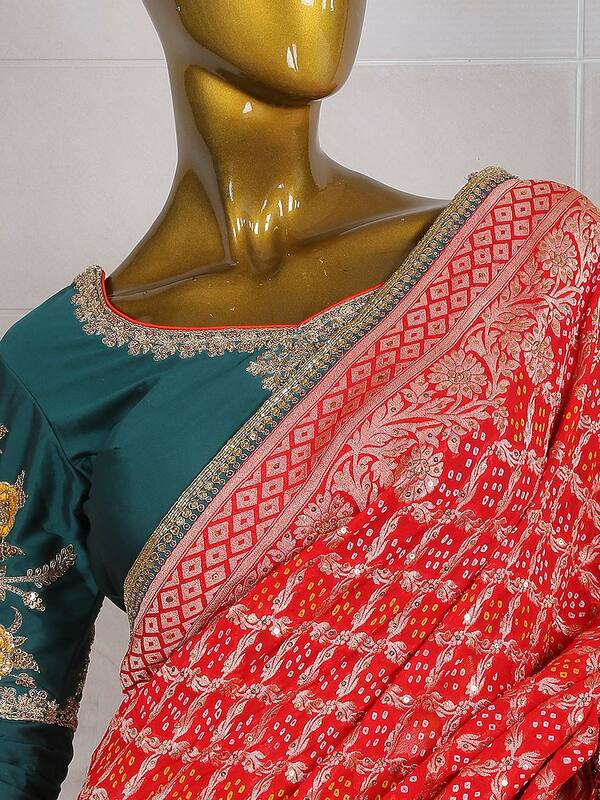 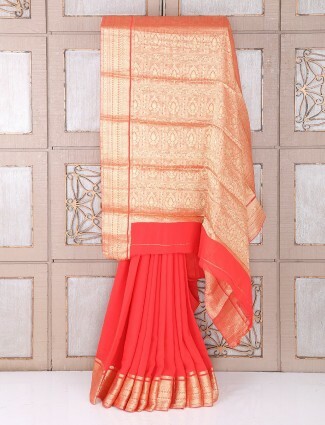 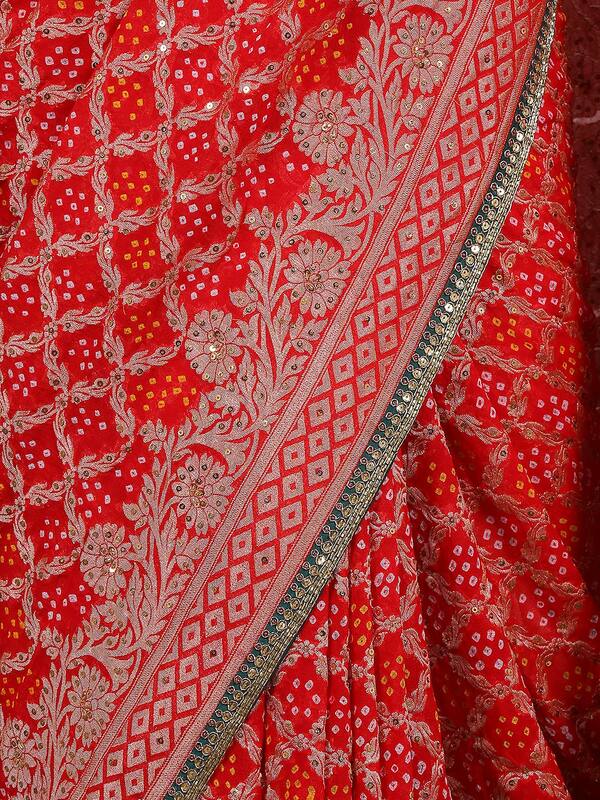 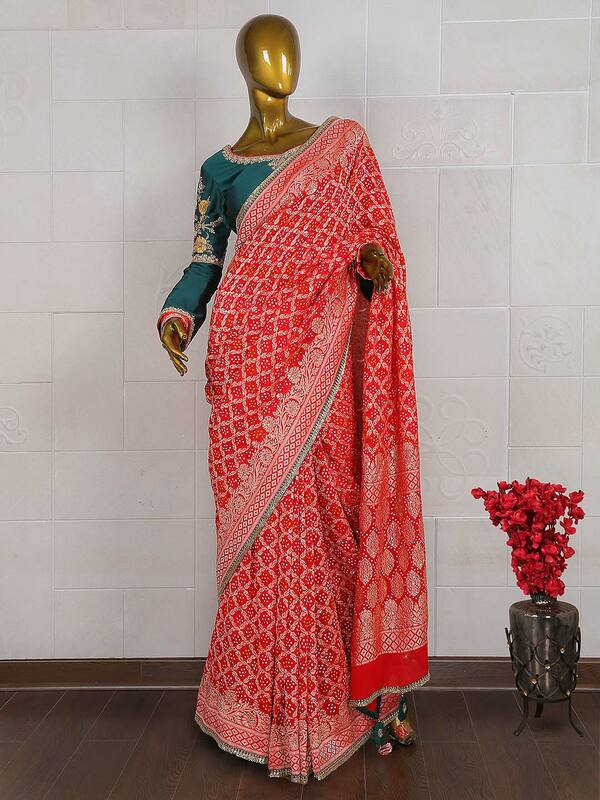 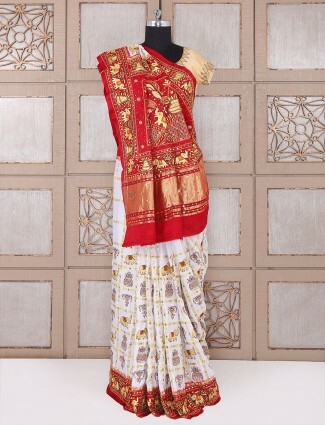 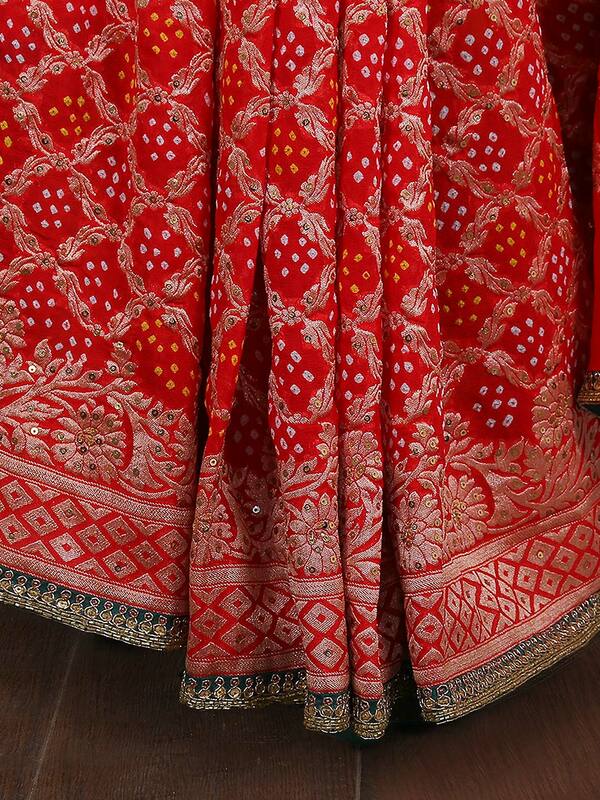 This gorgeous red hue georgette bandhej saree looks elegant in wedding ceremony. 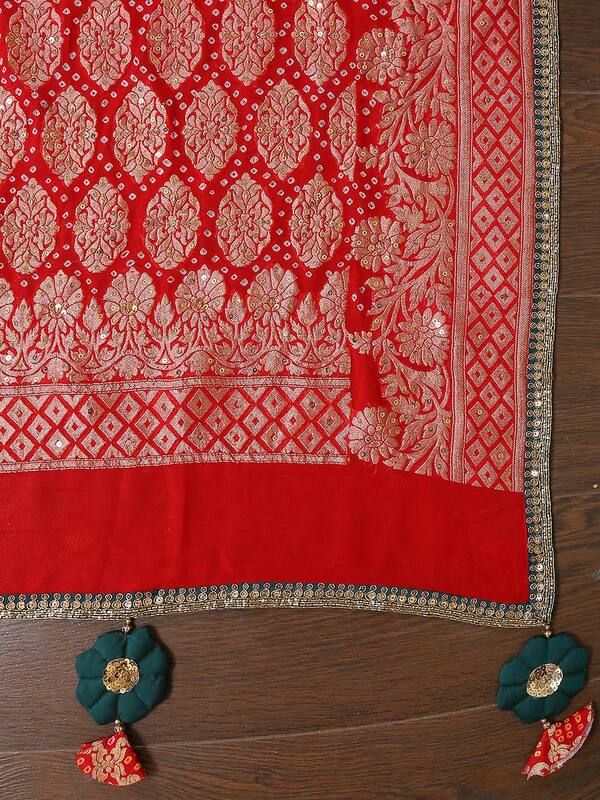 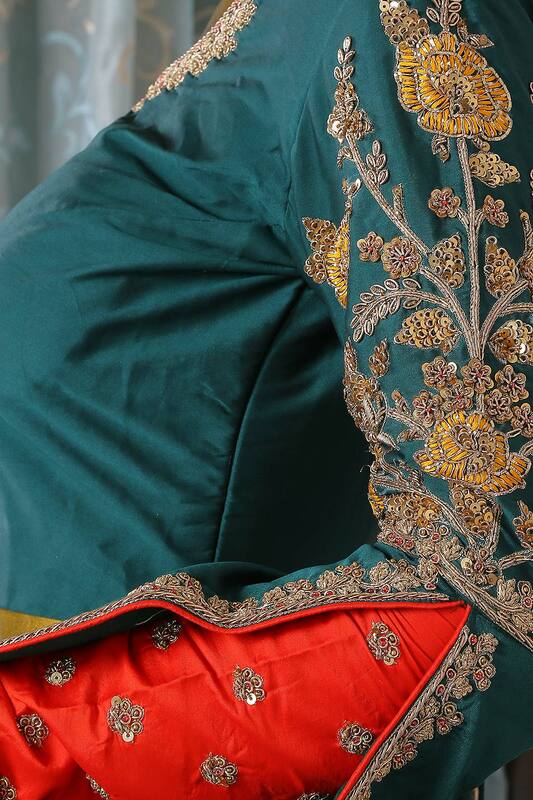 Featuring attractive zari and cutdana work on all around border. 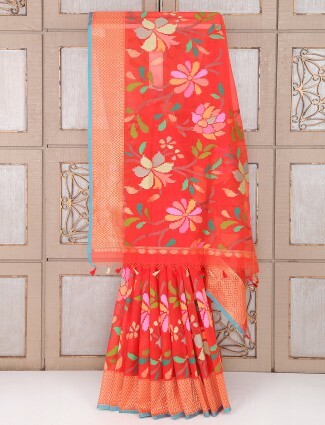 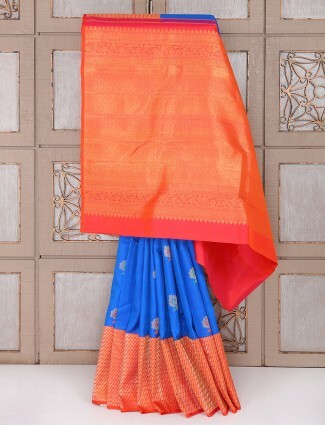 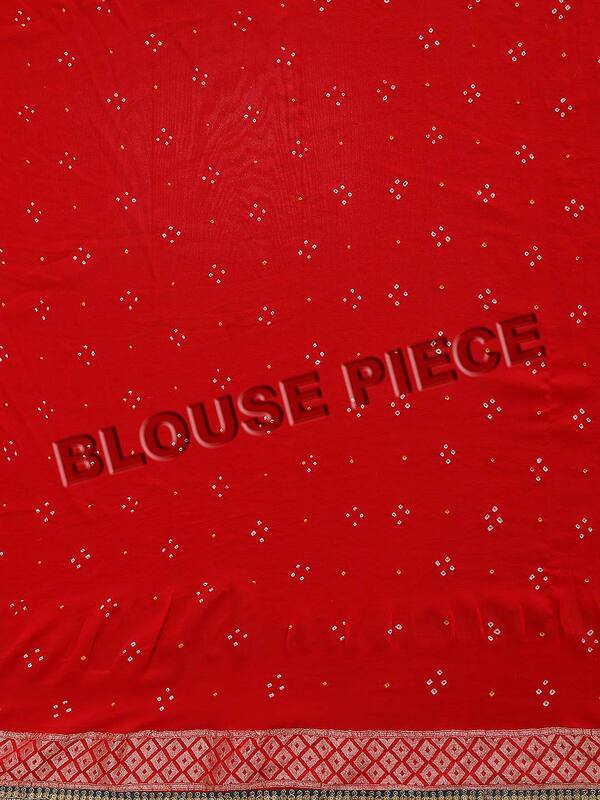 It comes with ready made as well as matching blouse piece.